Coffee Soda: Iced coffee and Coca-Cola, otherwise known as the Manhattan Special. Alternatively, this can be made by dropping a shot of espresso into a glass of tonic water and ice. Cold Brew: Iced beverage made by steeping coffee grounds in cold water over an extended period of time, giving it a richer, full-bodied taste. More caffeinated than your average cup. 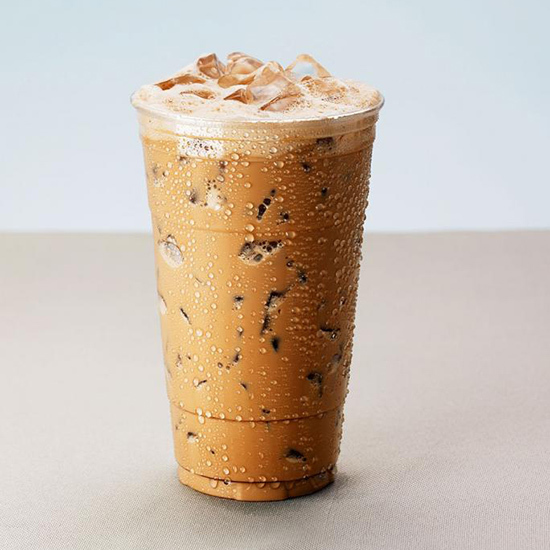 Dirty Chai (Iced): Blend of black tea, honey, spices, and milk over ice, with a shot of espresso. Doppio (Iced): Double shot of espresso over ice. Espresso Old Fashioned: Stirred mocktail made with espresso, simple syrup, aromatic tincture bitters, ice, and a touch of citrus. Flat White (Iced): Prepared by pouring micro foam over a single or double shot of espresso so it can rise to the top of the beverage for a sweet finish. New Orleans Cold Brew: A sweet-tasting blend that's cold-brewed for 12 hours with roasted chicory and cane sugar and then mixed with organic whole milk. Palazzo: Two shots of espresso, chilled after brewing and mixed with sweet cream.